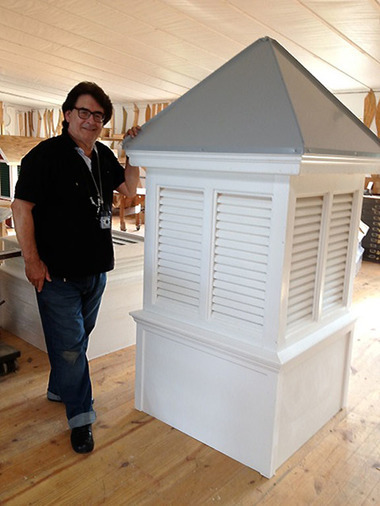 the perfect size cupola for your roof! ​ good too. 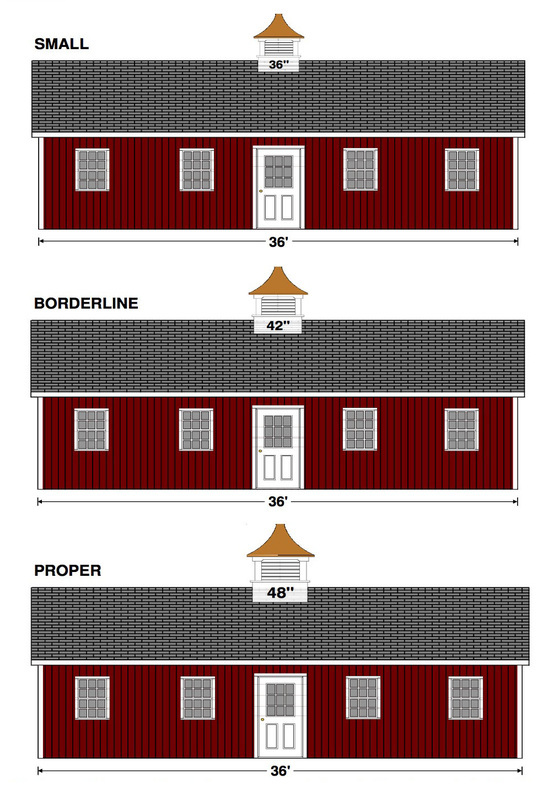 One diagram shows a 24" cupola which appears too small. 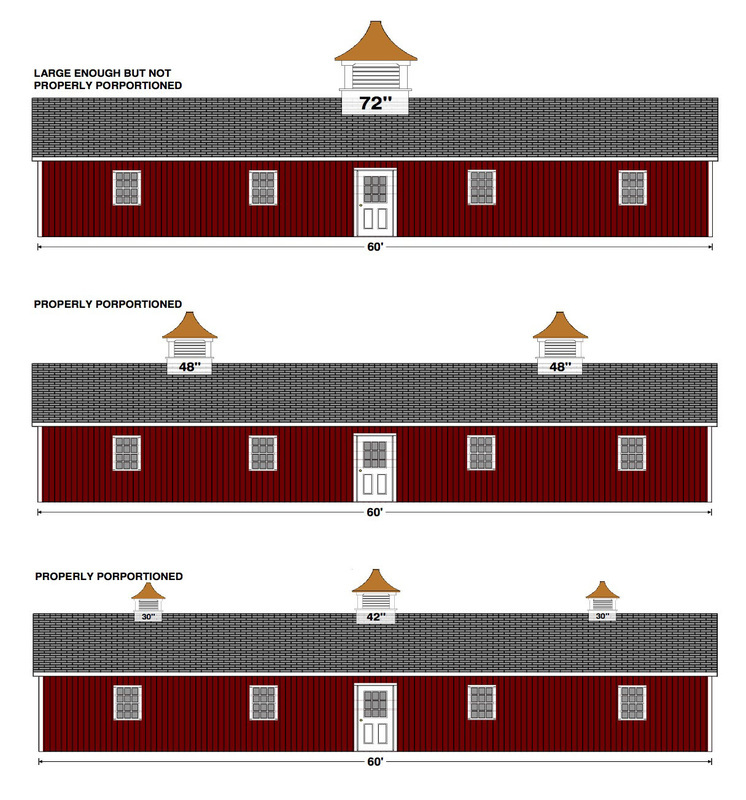 The drawing shown above shows two 48" cupolas on a 65' roofline. 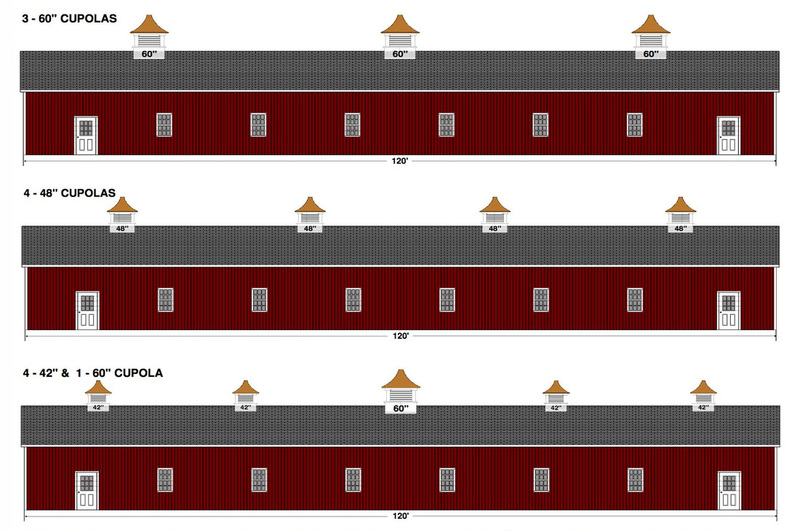 Larger roofs look better with multiple cupolas. Contact us by phone or by email from 9:00 A.M. to 9:00 P.M. EST Every Day! 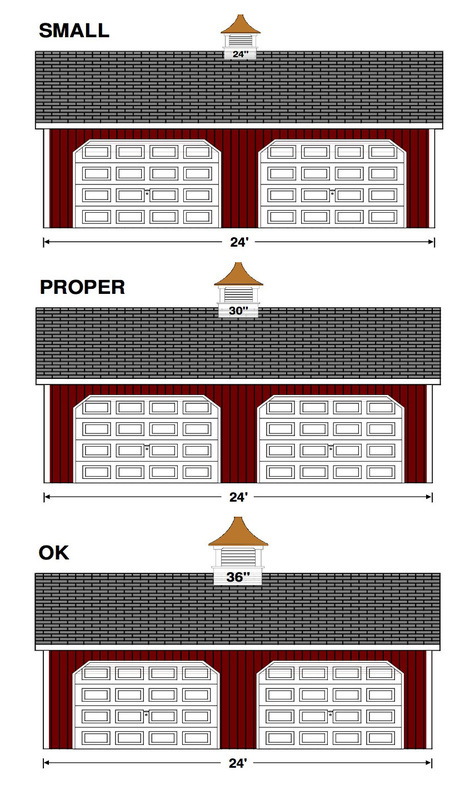 in every aspect of creating the perfect cupola for you. Vinyl Double Louvered Cupola with a Galvalume Roof. On the right below you can see Beverly visiting one of our cupola makers in Lancaster County, Pennsylvania. 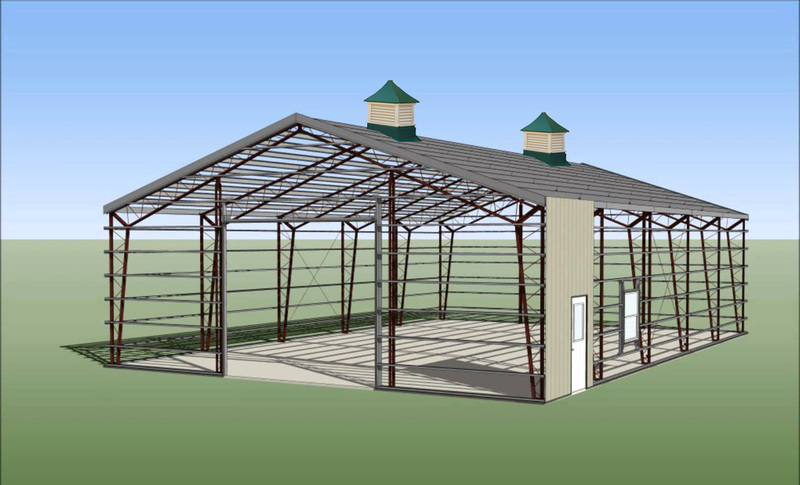 We are a family business that has been designing and selling cupolas for many years. Call now and take advantage of our low prices! shown at the bottom right of this page. 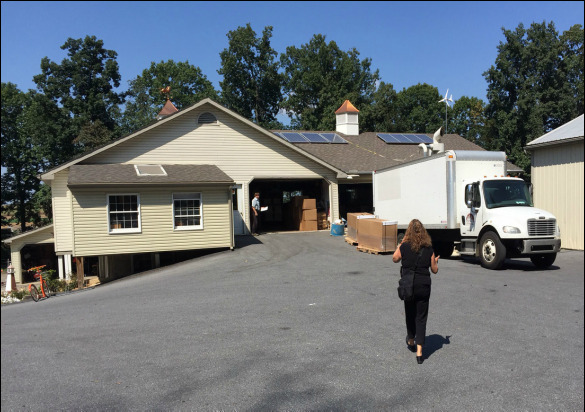 We offer unsurpassed customer service and satisfaction. 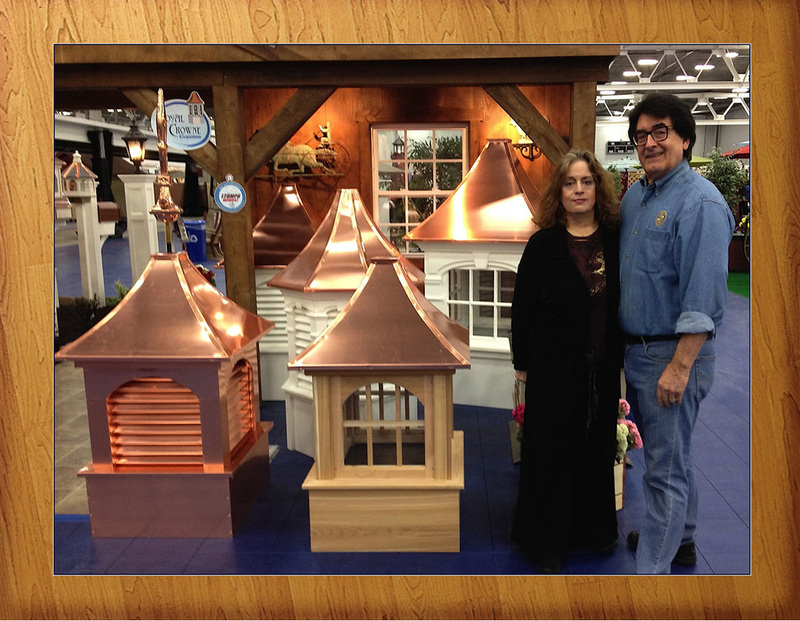 ​weathervanes and finials since 2001. Send us a photo of your building for a quote, or just ask us a question.